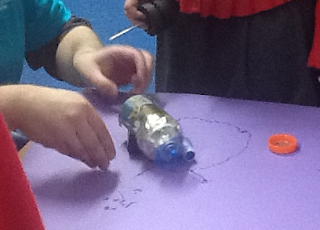 During National Science and Engineering Week 2013, as part of the activities provided by the University of Northampton, the Junkbots project returned as part of programme of activities to South End Primary School, Rushden, northamptonshire, UK. 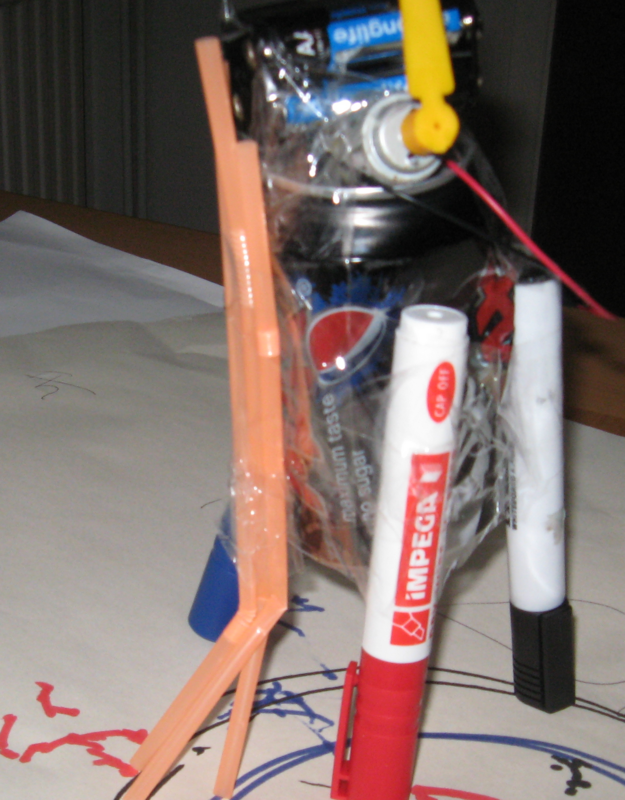 Last year during the same week Junkbots also formed part of the activities (see http://junkbots.blogspot.co.uk/2012/03/junkbots-goes-south.html). This time we worked with two classes - a year 2 and a year 5 class; building the drawing junkbot. Examples of previous drawing junkbots are shown above. 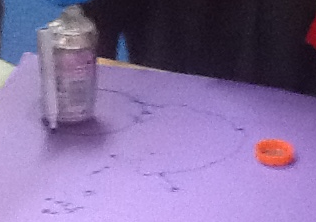 Approximately 50 children took part across the two 45 minute activities. 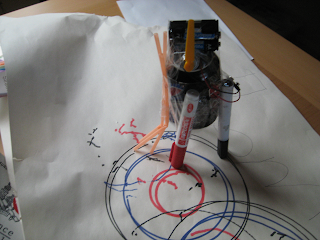 -moves by shaking a can using an unbalanced motor with 'legs' make from pens.